David Braun’s specialty is helping companies grow through acquisition. He is the founder and CEO of Capstone, which he established in 1995. He created the company to meet the unique demands of mid-market companies and their corporate growth initiatives. David has over 20 years’ experience formulating growth strategies in a wide range of manufacturing and service industries. A dynamic speaker, over the past twenty years David has lectured to over 40,000 top-level business executives on the subject of M&A and successful external growth. As an M&A expert, David is regularly featured in the media including Financial Times, Fox Business News, CBS MoneyWatch and CNN Money. David is the author of Successful Acquisitions: A Proven Plan for Strategic Growth (AMACOM 2013). The book lays out a detailed Roadmap to Acquisitions based on David’s 20 years of helping companies grow through M&A. He has also authored and delivered numerous presentations for the American Management Association (AMA), National Center for Continuing Education (NCCE) and Vistage International. 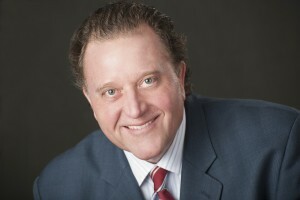 In addition, he has addressed a wide range of trade organizations such as the Association of International Metallizers, Coaters and Laminators (AIMCAL), National Tooling and Machining Association, the Illinois CPA Society, the Photo Chemical Machining Institute and the Envelope Manufacturers Association.